Competent music teachers possess a significant understanding of and facility on their performing instrument(s). They demonstrate a specialized knowledge in a performance area as they provide students with comprehensive, sequential instruction. They have substantial knowledge of music theory, music history/literature, and pedagogy/teacher education. Competent music teachers have knowledge and understanding of students’ physical, social and cognitive growth and past musical experiences. They assimilate this knowledge to develop a course of study and to prepare instruction that meets the needs of each student while cultivating positive and productive relationships. Competent music teachers plan courses of study for their students on a regular basis using a wide range of music, musical concepts and materials. Competent music teachers foster students’ interest and facilitate their musical learning by using a variety of resources, equipment, technology, materials, methods, music and teaching styles and strategies. Competent music teachers provide and cultivate settings that are conducive to learning and performance, and that are inclusive of students and families from varied backgrounds, cultures and capabilities. They provide settings for a course of study that encourage student confidence, independence, teamwork and high achievement. Competent music teachers utilize multiple evaluation methods regularly to assess and convey the progress of students' musical growth and performance, and to gather data for planning subsequent courses of study. Competent music teachers demonstrate an understanding and application of basic professional and ethical business practices in their studio and classroom management. These practices include establishing operational and financial policies. 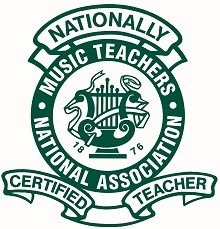 Competent music teachers contribute to the professional growth of their colleagues, their studios and schools, their professional associations and to their profession at large. Competent music teachers understand and appreciate the unique position that the family unit, colleagues, and the community play in the musical education of students. They actively seek opportunities to build and nurture partnerships with them.